i.lab is an innovation consulting firm for creating and realizing innovation. It was founded in 2011 by the University of Tokyo i.school’s team of directors. i.lab is, where the University of Tokyo i.school utilizes the knowledge of innovation educational institutions along with professional organizations around the world, and creates its own evolved idea creation and management ideologies to provide consulting services. General consulting firms concentrate on project design and management, but at i.lab, we also commit ourselves to creating ideas. The projects of i.lab are not only about science and technology - while placing importance on the perspective of people, we create products, services, and businesses that lead to innovation. In addition, we also engage in consulting work to build a framework for innovation for business process design and organizational reform so that continuous and effective new products, services and business are effectively created within the client company. As for project implementation, making full use of our domestic and international network, we will implement projects with optimal members comprised of specialized and interdisciplinary consultants, designers and creators. Members with diverse backgrounds will, for the idea generation process that is based on the best academic knowledge, continue to create ideas that are new and people-centered. Director of i.school. After graduating with a degree from the Kyushu University Faculty of Science's Department of Physics and obtaining a master's degree in condensation science from the Kyushu University Graduate School of Science, he dropped out of the Doctoral Program in Department of Advanced Interdisciplinary Studies at the University of Tokyo's Graduate School of Engineering. After obtaining his master's degree, he began working on management consulting at Nomura Research Institute. 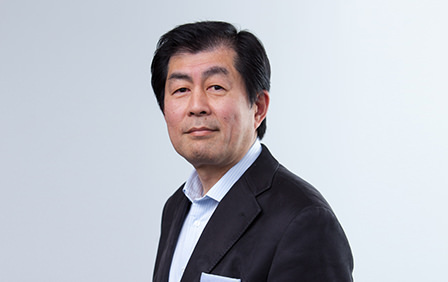 In 2013, he became the director of the University of Tokyo's i.school, a global pioneering institute of innovation education, taking responsibility for its overall activity management. Specializing in process design and management techniques for fostering innovation, he is engaged in consulting as well as practical research and educational activities. His recent works include "Innovation Path" (Nikkei Business Publications). Obtained a master's degree from the Graduate School of Frontier Sciences at the University of Tokyo. Obtained an MBA from ESADE Business School (Spain). After graduation, joined Canon as a patent engineer, where he was engaged in invention discovery and intellectual property strategy formulation for mechanical, electrical and image processing technologies for visual equipment. Subsequently moved to Spain, where, during the course of his MBA studies, he conducted R&D and innovation-related consulting projects at a local company. Worked with Roland Berger after returning to Japan on projects including comprehensive strategic planning for the automotive and electronic industries before entering his current position. Currently involved in new business development projects and project management for the automotive, electronics, industrial equipment and healthcare industries. Focuses mainly on business model construction, business plan creation and intellectual property strategy formulation. President of Jun Murakoshi Design. Graduated from the Chiba University School of Engineering's Department of Industrial Design, obtained a master's degree in Design Science from Chiba University's Graduate School of Science and Technology and obtained a MA in Design Products from the Royal College of Art (RCA) in UK. Engaged in education and research-related activities after returning to Japan, including new product development with Takram and project research at the Chiba University Graduate School of Engineering and as an assistant professor at Chiba University's Center for International Education and a researcher at the Center for Knowledge Structuring at the University of Tokyo. Currently, along with being involved chiefly with new business development and brand strategy projects at i.lab, he is engaged in product design at Jun Murakoshi Design. Has received numerous awards, including the Interior Lifestyle Young Designer Award and recognition as a finalist of Hublot Design Prize 2017, and showed at numerous exhibitions, mainly in Japan and Europe. Worked in the creative departments of several companies in roles such as urban planning, and apparel and sports marketing, before going into business for herself. After serving as a panel member for the See-D Contest, a project aiming to deliver relevant technologies to developing countries, she co-founded Wanic in 2014, a company which develops a new kind of sake from distilled coconut water and supports local employment and making efficient use of natural resources. Responsible for preparing i.school of The University of Tokyo annual report since 2010, she is also a supporter of startup accelerator TECH LAB PAAK (operated by Recruit Holdings). Graduated with a degree in Global Japanese Studies from the School of Global Japanese Studies at Meiji University. Completed the Product Design curriculum at Kuwasawa Design School. Began working while still a student as a product designer at a design firm specializing in assistive products. Was involved in the development of a variety of products for the elderly including mobility aids, dining aids, excretory aids and bathing aids. Currently mainly involved in new project development at i.lab. Recipient of the 2016 James Dyson international engineering award for best entry in Japan and top 20 in the world. Obtained a master's degree in Construction Engineering from the Graduate School of Engineering at Shibaura Institute of Technology. Worked at the design firm NOSIGNER as a space designer and product designer after graduation. Engaged in the design of Mozilla Japan's office spaces and the ACG Asahi Glass installation at Milan Design Week as well as a variety of other projects ranging from urban planning to traditional industries, regional activities, product development and corporate branding. Now pursuing his personal activities in parallel with his current position. Recipient of the Minoru Nagahara Award at the 2017 International Furniture Design Fair Asahikawa. Graduated with a degree in Commerce and Management from Hitotsubashi University, specializing in marketing of emerging countries. Studied Innovation Management at i.school, University of Tokyo and at Aalto University(Finland), and conducted various user and trend research globally in the both of academia and business such as "Hitotsubashi Global Consumer Survey". Began working in Corporate Strategy department in Transportation & Industrial Machinery Group at Marubeni Corporation, where he was engaged in budget control. Currently involved in market research, design research and service design. Obtained a master's degree in Urban and Architectural Studies from the Graduate School of Engineering at Tohoku University. Joined the Tohoku University Sendai School of Design in 2013 as a researcher working on workforce training projects using architectural and design concepts and joined the university's Graduate School of Medicine in 2015 as an assistant (public relations manager) engaged in branding/science communication. Established projectnode, LLC in 2017. Currently engaged in design consulting at i.lab in parallel with his company's projects. At i.lab, we are also actively engaged with outside experts who are at the top in the innovation field in the world, to carry out practical research activities, for the evaluation and implementation of products, services, and business ideas, establishing ourselves with a system where we can obtain a wide variety of knowledge and opportunities. Graduated from Department of Civil Engineering, University of Tokyo in 1980, graduated with master's degree, doctorate from Northwestern University. Specializing in social technology theory, international project theory, innovation education theory. As i.school executive director, he oversees the i.school management. As center director of the Center for Knowledge Structuring, University of Tokyo, he promotes research and development on the theme of structured and value of knowledge to be distributed. Author of “Social technology for problem solving" (Chuko Shinsho), "Social Technology Theory: design of problem-solving” (University of Tokyo Press) and others. 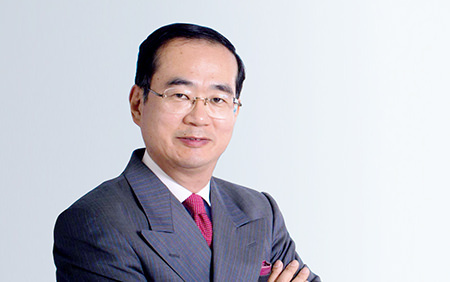 Chairman, Global Venture Capital Inc.
Director, The Japan Academy of Family Business. PhD, certified public accountants, securities analysts. After working at Nomura Research Institute and JAFCO, he established an independent venture capital firm Global Venture Capital where he currently serves as chairman. Achieved successful investments within venture companies not only in Japan but also overseas such as in the United States, India, Britain, and China. Has leadership experience in managing numerous startup businesses. From 2012, he began teaching entrepreneurship at Waseda Business School as a professor, and together with the appointment to various government committees, he is putting in efforts to develop a venture ecosystem.